RCP welcomed ANZ’s Head of Economics, David Plank to a property luncheon in Sydney hosted by RCP Managing Director, Russell Martoo and NSW Manager, Mark Dibben. At the luncheon, held to coincide with the release of the Property Council of Australia’s ANZ/Property Council Survey December quarter results, David presented his expert opinion and provided his observations on the downturn in residential property sentiment and its impact on the broader economy. Whilst the latest survey results reveal the most negative outlook for house prices and credit availability on record, it is ANZ’s view that continued strength in the labour market means the weakening in housing won’t derail the economy more generally. ANZ forecasts that house prices will continue to decline over the rest of 2018 and again, though more modestly, in 2019 if the RBA delivers the expected interest rate hikes. However, ANZ expects that evidence of stabilisation of the housing market will be present by mid 2019. David pointed out that in Australia, growth annualised at 4.1% in the first half of 2018, its fastest pace since 2012. He suggested that leading indicators reveal further jobs growth and ANZ also expects wage growth to accelerate at a gradual pace. He suggested an encouraging aspect for the forward outlook is the strength of profits and the elevated level of business conditions, which suggest to ANZ that growth will remain robust into 2019, though it will likely slow as the contribution from housing construction eases and consumer spending moderates. 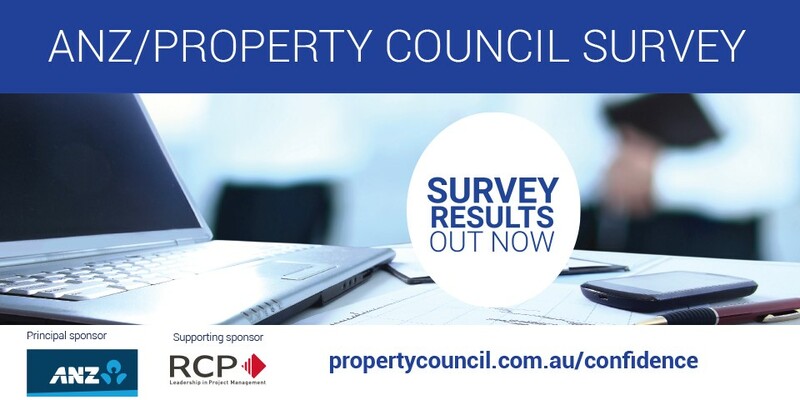 RCP is a proud sponsor of the PCA’s ANZ/Property Council Survey. To view the latest ANZ/PCA survey results, please visit the Property Council of Australia website.